For every woman, the wedding day is without a doubt a very special occasion, occasion where the bride is in the spotlight. 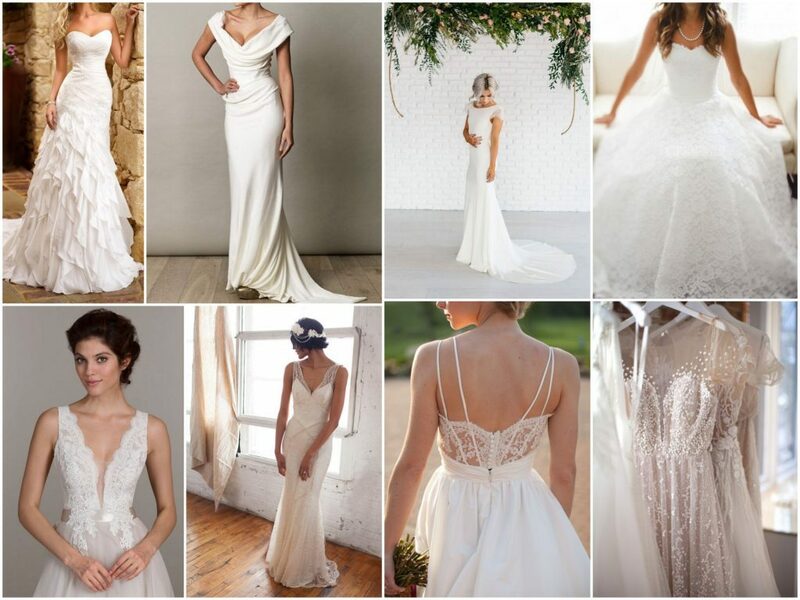 Finding the perfect wedding dress can be quite hard and stressful for many brides. However, we will show you in this article some clever tips to easily and quickly find the dress of your dreams. When you decide it is time to go and look for your wedding dress, it is essential to do some research before you actually go shopping. Make a list with all the shops that are in your city, and check their websites as well in order to make an idea about what each of them has to offer. By doing so, you will save lots of precious time, and the stress level will considerably be reduced. Take with you a close friend or someone from your family like sister or mother. A mistake that many women make is that they get too many friends, which can be very confusing when you ask for advice because the opinions can be different. Therefore, in order to not confuse the situation and make your decision a lot easier, it is strongly recommended to take with you one or two persons. Even if you have just one model in mind, it is highly recommended to try as many as possible. There are lots of chances that the model you like will not suit you as expected. Therefore, you will be surprised to see that maybe another different type of wedding dress will look absolutely spectacular on you. You should try on at least one dress in each silhouette. Not only you will make an idea about what model is best for you, but you will also have the chance to see how comfortable each dress actually is. 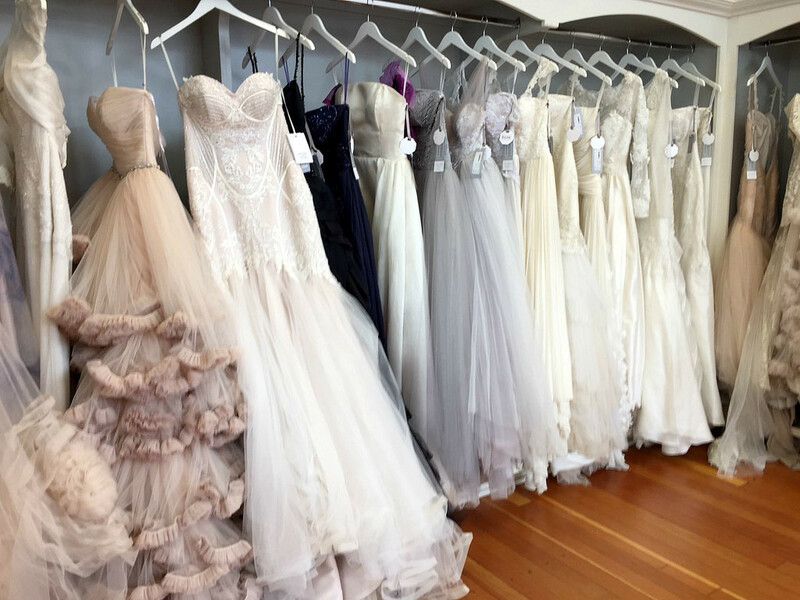 This entire process is extremely important because you will never find a perfect dress if you do not get a sampling of all of what’s out there. Your favorite model may be a lace mermaid, but you would certainly never know it if all you have tried on were only satin ballgowns. Do not enter the wedding dress shop halfheartedly, or you might leave empty-handed. In case you have a mindset of, ”I am just having a look”, then this type of emotion will most probably be counterintuitive to your goal to find the wedding dress of your dreams. The truth is that there is definitely a spectacular gown for you, that perfectly fits your body as well as your budget. If you believe it, then you will find it. This is what you must have in mind when you go shopping, and this involves showing up at the boutique with everything you need, a strapless bra if you want to wear one, shoes in the desired height, and even accessories that you feel are non-negotiable such as heirloom earrings. Feel confident and focused on your purpose. There is no doubt that you will find the wedding dress of your dreams if you follow the rights steps.